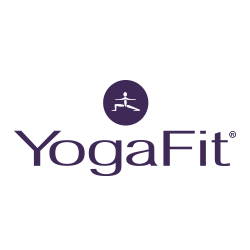 Start taking classes at YogaFit Studios and other studios! There are no upcoming “YogaFlow 2” classes on this day. Arrive 15 minutes early to your first class to be given a complete studio tour, meet the instructor, and complete a short waiver. Bring a yoga mat, water bottle, small towel, and your best attitude! Wear clothing that you can comfortably move in. No shoes or socks needed. Changing rooms are available. 494 Water Street, Excelsior. Located off Water and Oak St. You can find us next to Sports Clips and Snap Fitness, near Kowalski's. It was very fast paced... when got the words out of her mouth we were already transitioning to the next pose.... there was no focus on form. That being said my heat rate got up and I sweated. Wasnt a fan of the music choice. Always such a great stress relief! Rosa is my favorite, this class was great because I felt like I got the opportunity to learn more yoga poses! I wanted just a little more of a sweat and a challenge if I'm going to get up for a 6am class. Rosa was a great instructor, super helpful! Great class!